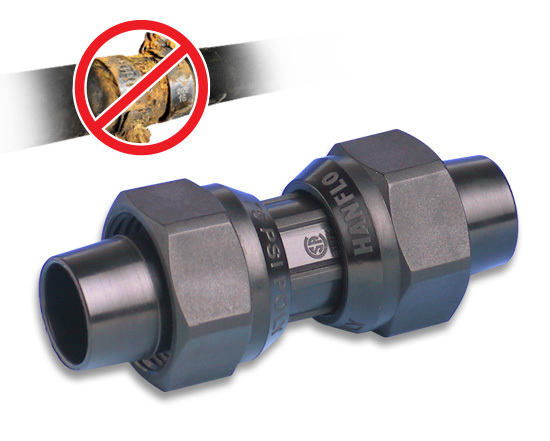 With a simple twist of the centre nut, the Hanflo Quick Disconnect Union provides the perfect solution for quick disconnecting pipe or pump for winterizing & servicing. 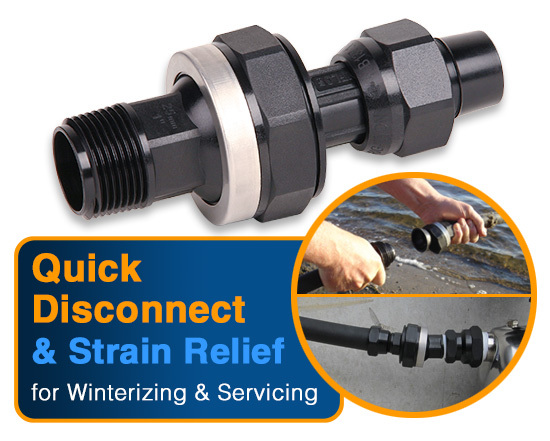 The o-ring seal provides a reliable leak free seal when reconnecting. The unions also feature a unique strain relieving 9 degree 'knuckle' joint that allows pipe work to be off center from the pump, reducing stress on critical connections. 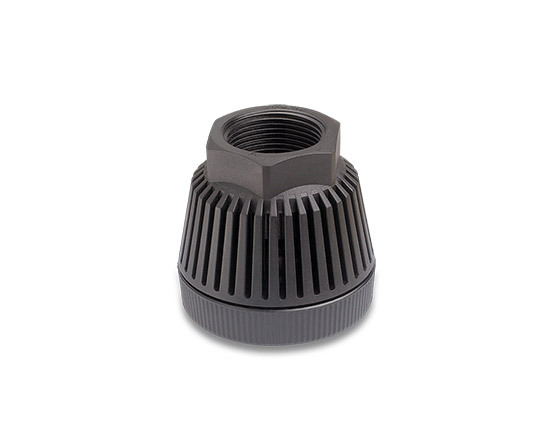 The full range has a common sized centre nut on all the fittings, so it's possible to purchase 2 separate unions and take the socket side from one and ball side from another to form you own unique union to suit your individual requirements.